I've been training since I was five years old when my parents put me and my brother into BJJ. Since then I fell in love with the sport and just enjoyed training and competing. This is my second time going to the Worlds. I know a few of the other girls in my weight but I look forward to fighting them. I've been training everyday and doing strength and conditioning alongside BJJ. 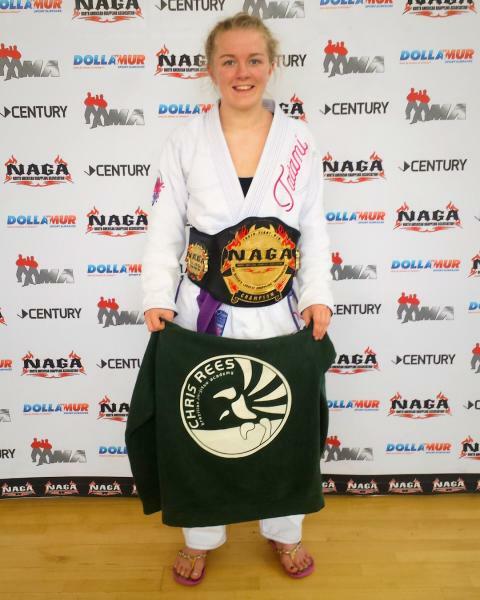 I also worked to improve my mentality and confidence for BJJ. I competed at the British open test this and to make sure I was ready for Worlds both physically and mentally. My favourite is probably a bow and arrow off the back. I haven't currently got anything planned. I'll just take a few weeks of more relaxed training and then look at the competitions towards the end of August before going back to university. Make sure you learn to enjoy it and if you ever choose to compete never put any pressure on yourself to win.